The Great White Shark is a species of large shark which can be found in the coastal waters of all the major oceans. The lifespan of great white sharks is estimated to be as long as 70 years or more, making it one of the longest lived fish currently known. It has no natural predators other than the Orca and is one of the primary predators of marine mammals. A Great White has a white underside and a grey dorsal area which gives the shark an overall mottled appearance. This colouration makes it difficult for preys to spot the shark because it breaks up the shark’s outline when seen from the side. From above the darker shade blends with the sea and from below it shows just a minimal silhouette against the sunlight. 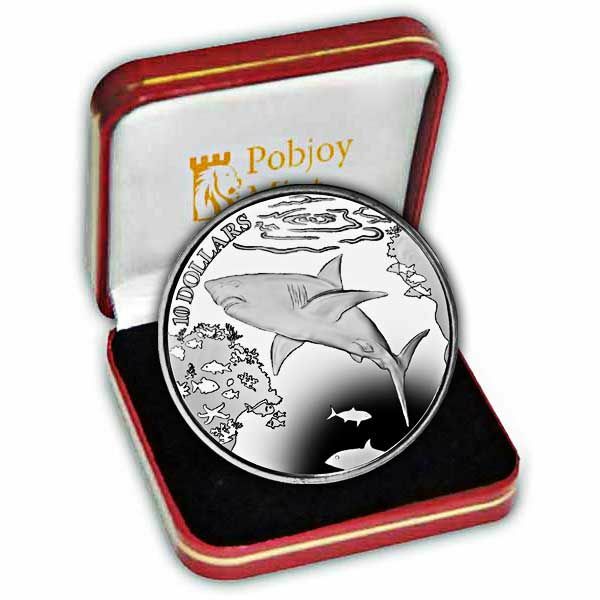 The design on the coin shows an underwater scene with a central image of a White Shark. 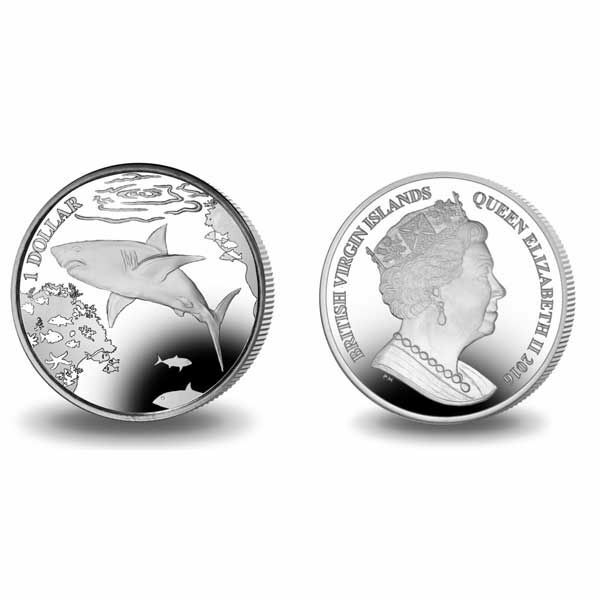 The obverse of the coin features an effigy of Her Majesty Queen Elizabeth II exclusively by Pobjoy Mint. The coin has also been produced in Turquoise Titanium and Unc. Cupro Nickel.